Made by eco-friendly Bella+Canvas, this Unisex Jersey Short-Sleeve T-Shirt is made in the USA and is available in a variety of fashionable colors. 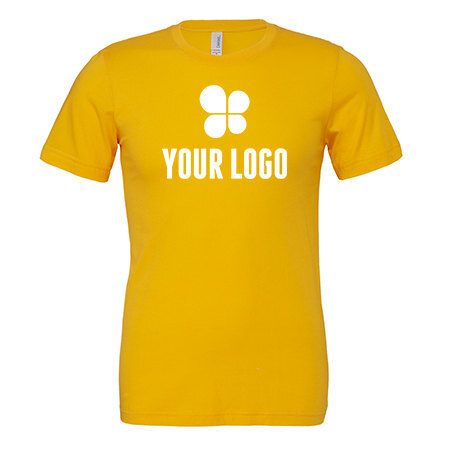 This premium crafted shirt is especially made for branding and customization. The 100% combed ringspun cotton makes it a fast favorite. depending on the fabric, color and quantity.